Farewell to Our Miss Wilson! 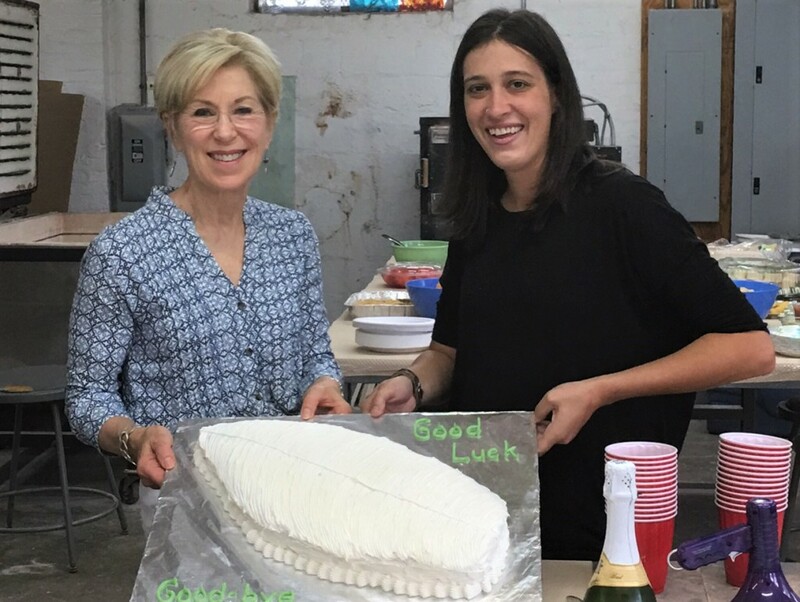 The Washington Glass School hosted a farewell party for artist Audrey Wilson – heading off to get an MFA in glass at Ohio’s Kent State. We hold back tears as we wish Audrey all the best! Trish Kent presents Audrey Wilson a chocolate cake modelled after Audrey’s pate de verre glass feathers. Debbi LoCicero tells her story of Audrey Wilson’s effect on her artwork. Artist, author & gallerist Lenny Campello offers his story of Audrey Wilson’s adventures at the Art Basel Miami fairs. Some of the artworks created by area artists featured in the new Pizzeria Paradiso restaurant. 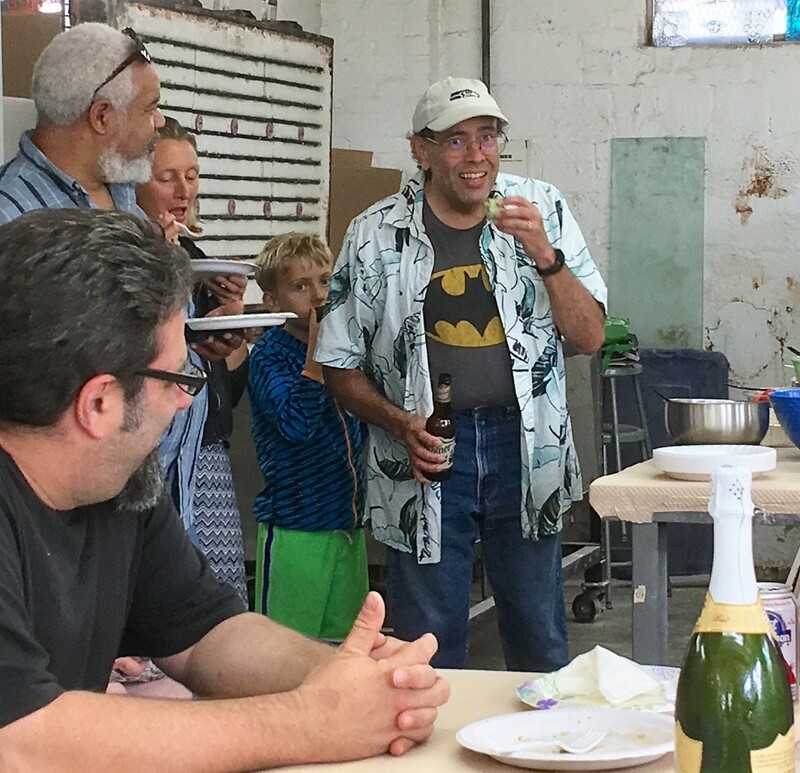 As the organization Art Works Now prepared for their new landmark home in Hyattsville, they teamed up with the building’s restaurant tenant Pizzeria Paradiso and Prince George’s Arts and Humanities Council to embellish the new restaurant with “Master Pizzas” created by invited artists and arts organizations from the surrounding communities. Each artist worked from a 9” wood panel base and were encouraged to create their signature pizza. 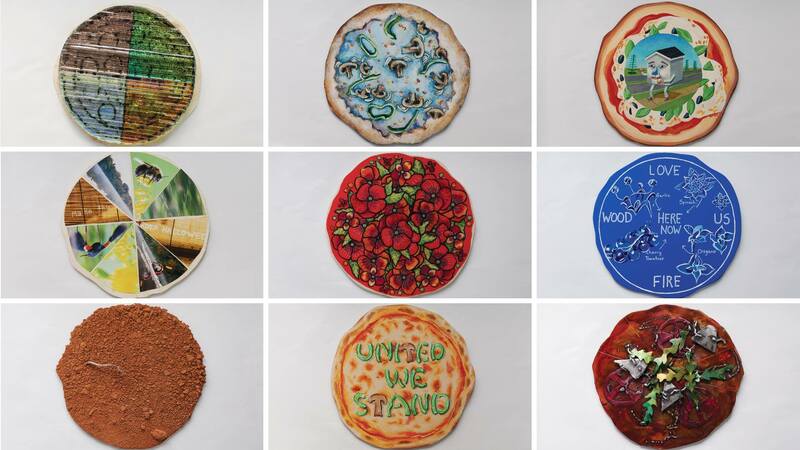 These artists created pizzas using an array of different mediums that reflect their visions, their community, and the world around them. Ed Bisese, Alan Binstock, Margaret Boozer, Rachel Cross, Alonzo Davis and Bob Donahue, Ric Garcia, Melissa Glasser, Sean Hennessey, Tom Hill, Steve Jones, Wayson Jones, Mame N’Diaye, Diana N’Diaye, Kate Kretz, John Paradiso, Pyramid Atlantic Arts Center, Krista Schlyer, Alma Selimovic, Robyn Schaefer, Megan Van Wagoner, Washington Glass School, and Ellyn Weiss. The pizza art is installed in the new Pizzeria Paradiso, and each was photographed for a fundraising campaign for Art Works Now and the Prince George’s Arts and Humanities Council. 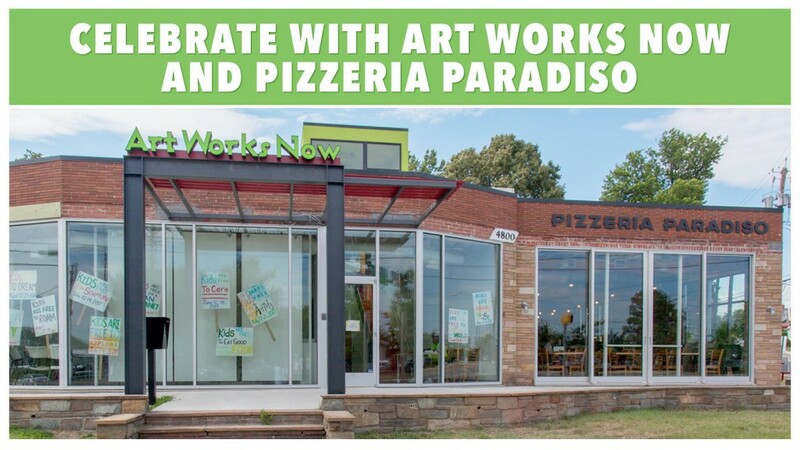 Artworks Now and Pizzeria Paradiso’s new facility located at 4800 Rhode Island Ave., Hyattsville, MD. Art Works Now and Pizzeria Paradiso will hold a joint ribbon cutting and grand opening celebration of their new space on July 15 at 11 a.m. Pizzeria Paradiso will serve complimentary pizza and soft drinks and Art Works Now will have a pottery throwing demonstration, arts activities, and an open house with works from the artist Pauline Rakis. 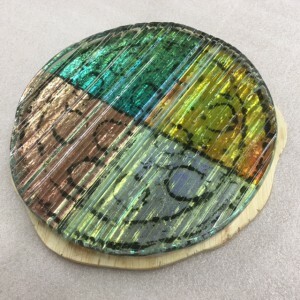 Washington Glass School made a glass pizza from recycled glass. 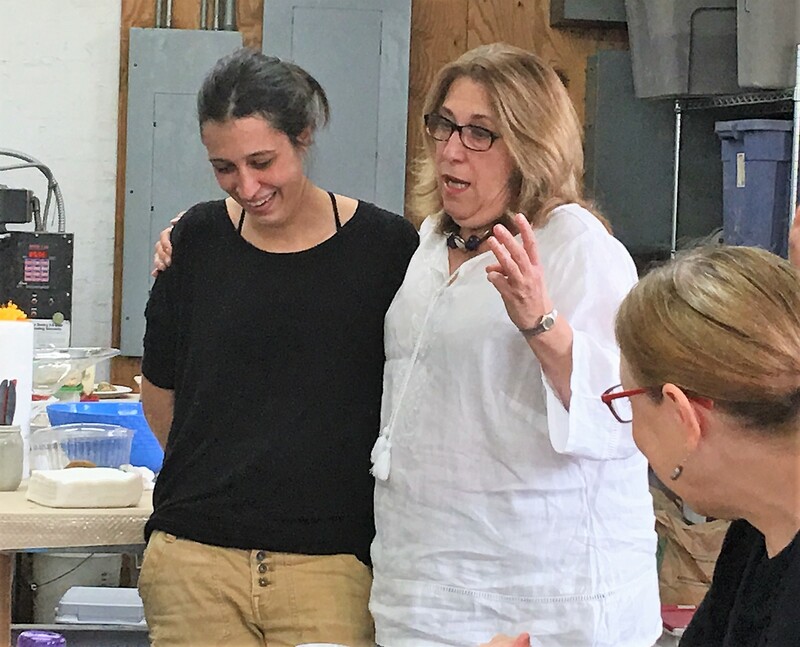 Art Works Now and Pizzeria Paradiso are developing programs and activities that will bring together pizza and beer with art, such as a tasting and art showcase with Graft Cider and their label designer in the fall. Art Works Now will utilize the shared space with the restaurant to incorporate food into their educational youth programming. The ribbon cutting ceremony guest speakers will include County Executive Rushern Baker III, Maryland State Sen. Paul Pinsky and Prince George’s County Councilmember Deni Taveras. 4800 Rhode Island Ave., Hyattsville, MD. Best Glass Blog. On. The. Planet. Washington Glass School Blog received a compliment – The founder of Feedspot (a RSS Reader aka a news aggregator or a web application which aggregates web content such as online newspapers, blogs, podcasts, and video blogs (vlogs) in one location for easy viewing) contacted the blog to advise that WGS Blog is rated as being in the top 20 Glass Blogs online. Feedspot awarded the top 75 blogs with a virtual ribbon – we are honored with the title of Top 75 Glass Art Blog. We are thrilled and honored to have this title bestowed on the Blog. 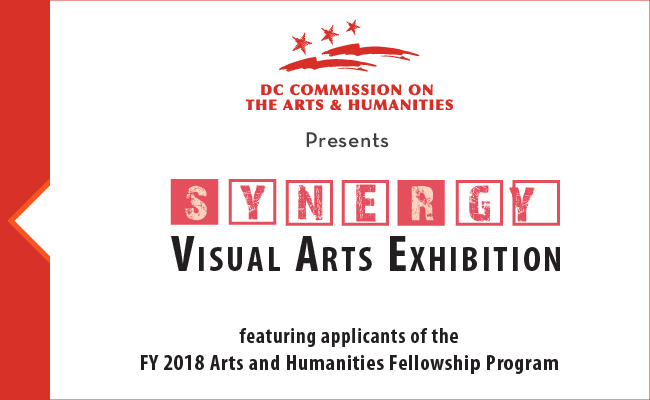 The DC Commission on the Arts and Humanities presents a visual arts exhibition featuring some of the District’s finest visual artists. Works by WGS artists Michael Janis and Tim Tate are featured in the exhibit. This exhibition, curated by the DCCAH, features artists applying for the FY 2018 Arts and Humanities Fellowship Program (AHFP). 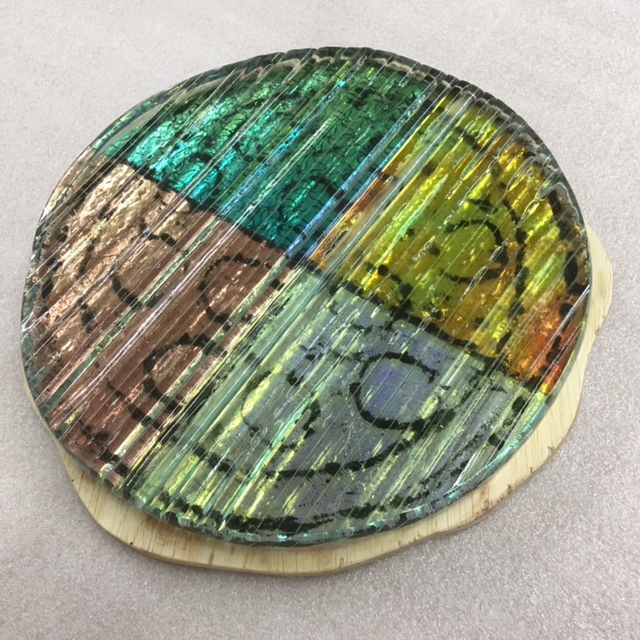 “Synergy” captures the broad scope of the District’s dynamic art scene and provides an opportunity for the artists to express their visions directly to the panel of peer reviewers evaluating their applications and to the public.